Volunteers in this program provide emotional support and assist with practical concerns on behalf of patients and their families during the last 24 to 48 hours of life. Opportunities exist to assist with support groups, make follow-up calls to families, and help with memorial services. Our Transitions Program involves social workers and volunteers providing assistance, companionship and other complementary services to patients who have a life expectancy of less than eighteen months. In the administrative offices, volunteers provide much-needed support, including answering the phone, working on the computer, helping with mailings, photocopying and other tasks. Providing respite care and support for the patient and family is one of the most personal ways a volunteer can become involved with Crescent. 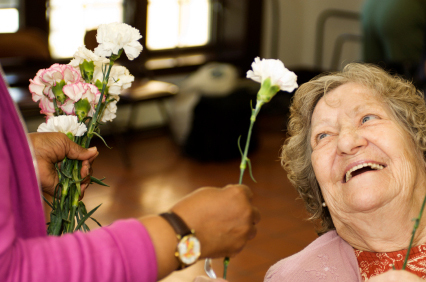 The volunteer serves as a friend, visiting the patient where he or she lives. Students are actively involved in many exciting projects, including life review, arts and crafts, and our memorial services.